“Today’s political and social conditions are highly unjust and therefore, we need to fight them with the greatest energy possible.” And: “Performance needs to be worthwhile again”. These are not quotations from the Social Democratic candidate for chancellor, Martin Schulz. The first sentence can be found in the Eisenach program of the Social Democratic Workers’ Party of 1869, and the second statement was part of the Christian Democratic campaign in 1982, running against the SPD-led federal government. Today Martin Schulz claims that there is a deep rift dividing our society, and he would like for our country to be more just. I can only endorse it, when the designated party leader and top candidate of the Social Democrats takes up traditions, which – friendly speaking – were not always the focus of the SPD in recent years. In case Martin Schulz feels committed to social justice and advocates peace, democracy and solidarity, he can count on the support of the Left. This is also the case, when he is promoting equal opportunities for careers and education, while taking into consideration the problems of Germany’s local communities. Martin Schulz’s is still vague. How could wages and profits correlate appropriately? How could minimum wages and pensions develop to serve everyone in the country? What is the strategy for digitalization, crowding and cloud working? How can the welfare state be restored, the unemployed not degraded to solicitants and constantly threatened with new sanctions? When are we starting to redistribute wealth from top to bottom? And finally, what role is Germany going to play in the world? Should armament exports and overseas deployment continue? Will we continue to suppress Greece and sanction Russia? How can Germany and the EU prevent causes of flight? What is Germanys contribution to environment and climate? The catalogue of needs is various, and could be even more detailed. And Schulz won’t be able to retain the ‘mystique of the new’ forever. Aside from the fact, that he is the longest-serving presidium member, Martin Schulz is now opposing a government, the SPD has been part of for the past 16 years. Hence, the Social Democrats are jointly responsible for the state of the Republic. Many of the issues he is raising now, could have already been voted on and passed in Parliament. For instance, ending unfounded fixed terms in labor law. Creating legal frameworks for people to marry whomever they love, as well as an immediate ban on small arms exports, or the withdrawal of US nuclear weapons from Germany. An actual reform of the inheritance tax could be a building block for a more just society. Unfortunately these are all unutilized opportunities, given the current majorities in Parliament. But after the 2013 election, the SPD consciously decided against a possible center-left alliance. That is why I am interested in whether or not Schulz, after September 24, 2017, will exclude the continuation of a coalition between the Union and the SPD. 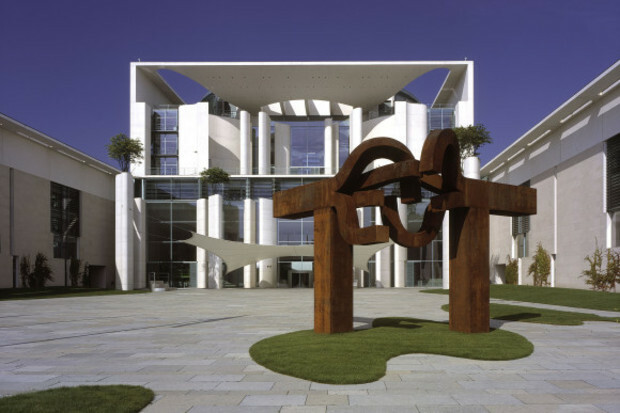 When Gerhard Schröder and Katrin Göring-Eckardt established the “Agenda 2010”, (a series of reforms planned and executed by the German government, a Social-Democrats/Greens coalition at that time, which aimed to reform the German welfare system and labour relations in the German Parliament in 2003), there was no opposition to the left of the SPD. The CDU eventually adopted a neo-liberal program. Starting at that point in time, the conservatives talked ‘politics without alternatives’. The PDS, later THE LEFT, called the Hartz laws (a set of recommendations submitted by a commission on reforms to the German labour market in 2002), “poverty by law” and fought henceforth against precarious employment, low wages, pension reductions, study and practice fees, child poverty, exorbitant rents, homelessness and other social atrocities. To the annoyance of the SPD and most trade unions, THE LEFT demands a nationwide legal minimum wage. It took more than a decade till the Social Democrats adopted a minimum wage. The next step, in my opinion would be, to increase the minimum wage to 12 Euros in order to avoid old-age poverty. After the elections in 2017, it is also about a change of personnel in the Federal Cabinet. With Martin Schulz, once again, somebody is knocking on the door of the chancellor’s office. Above all, however, a policy change is on the agenda. This appears possible and THE LEFT will not disappoint. For this the party needs many votes. I advocate a change in policy – without compromise. Martin Schulz to this day remains opaque on policy – and that in a rather charming manner. It’s only that charm and magic rarely get you into the chancellor’s office. Read more in this debate: John Malcolm Watts, Jean-Claude Juncker, Dietmar Bartsch. Dietmar Bartsch was born in 1958, studied political economy in Berlin and earned a Doctorate degree in Moscow. Since 2015 he is leading the faction of DIE LINKE, THE LEFT with Sahra Wagenknecht in the German Parliament, the Bundestag.